EZE-LAP manufactures a wide variety of diamond products. This allows the customer to pick and choose the model(s) they believe will best serve their needs. 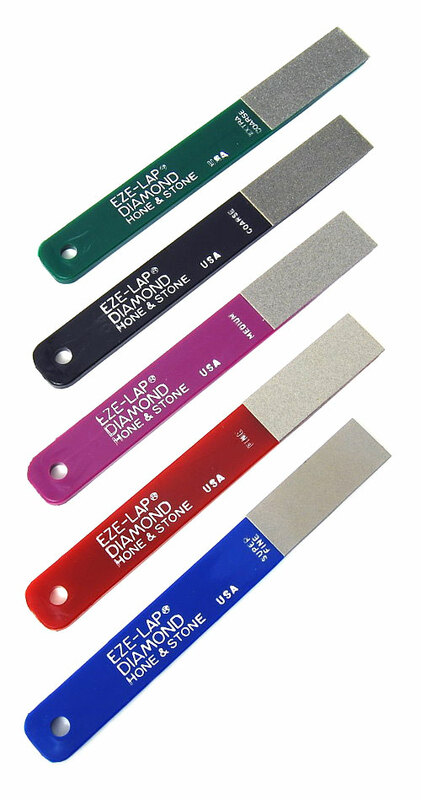 The vast array of diamond sharpeners in the product line include small pocket size flat stones and compact, portable, round diamond sharpeners that are ideally suited for the fisherman, sportsman, or the outdoors person, to the larger diamond bench stones ideal for the workshop. 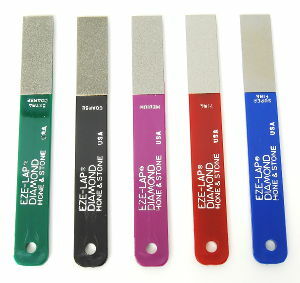 EZE-LAP says that the great majority of all sharpening can be performed by the fine (600) grit grit diamond. 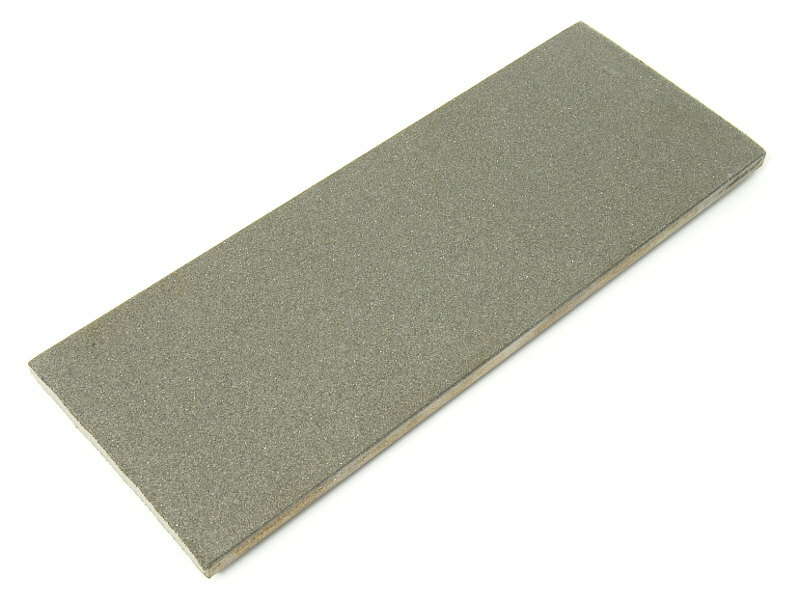 This fine grit diamond has the abrasive ability to effectively sharpen a dull knife in less than a minute. 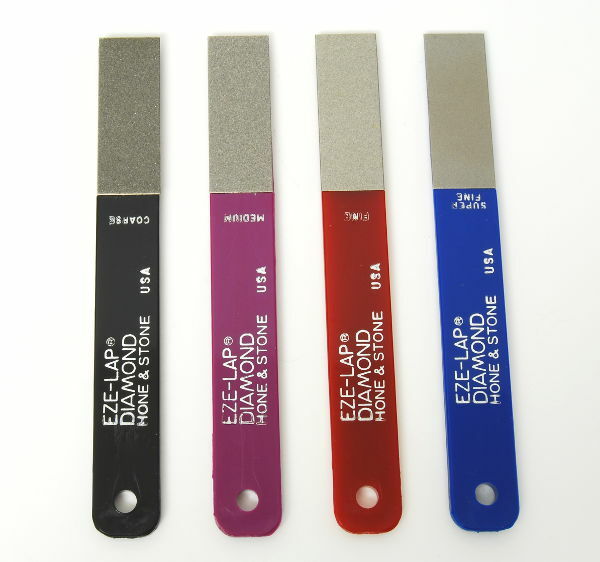 The fine grit is offered on all EZELAP diamond products. 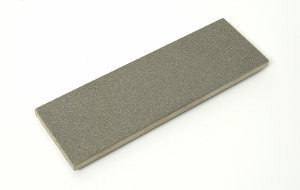 Round sharpeners are available in the fine grit only. When your job requires a surface that will sharpen quickly, but still leave a high quality finish, EZE-LAP offers a medium (400) grit diamond. For those who wish to get the job done fast but are still interested in a good quality finish EZE-LAP offers a coarse (250) grit diamond. This diamond surface lends itself well for sharpening axes, shovels, garden tools, industrial shop tools and de-burring application. 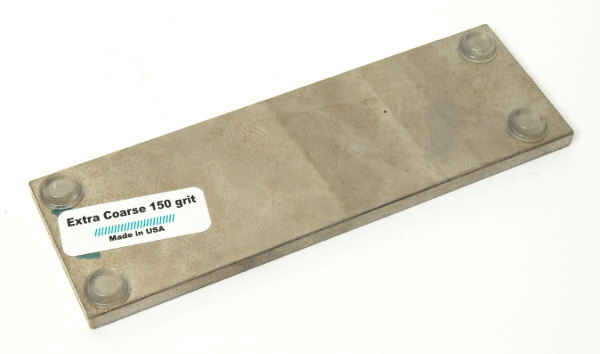 For very fast metal removal try the extra coarse (150) grit diamond for roughing in or prepping for final finish. To achieve the finest finish try the super fine (1200) grit diamond surface. Ideally suited for woodworking and industrial application. Available on selected flat products. A very versatile sharpener. This model can sharpen anything - knives, scissors, etc. With groove for fish hooks. Available in fine (600) grit only. These medium sized diamond bench stones are ideal for woodworking tools, hunting knives, fishing knives, axes and industrial use. 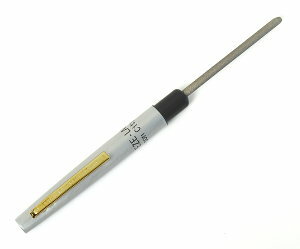 The diamond particles are bond in a stainless alloy to a precision matched metal substrate. These diamond bench stones are too small for flattening waterstones or the mirror side of chisels! These large sized diamond bench stones are for wide plane blades and other woodworking tools, hunting knives, fishing knives, axes and industrial use. 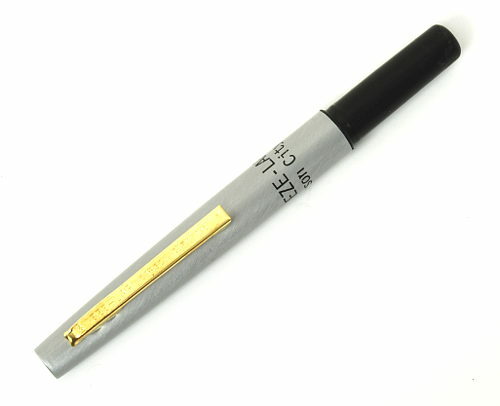 The diamond particles are bond in a stainless alloy to a precision matched metal substrate. 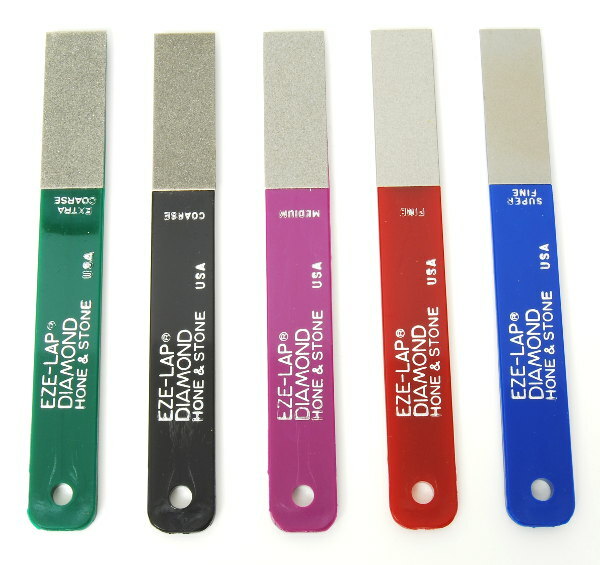 Note: These EZE-LAP diamond sharpeners are less suitable for dressing water stones or chisel faces since the flatness can deviate by to 0.3 mm, measured with a feeler gauge on a granite measuring table. 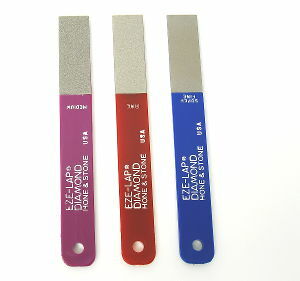 If you’re looking for optimal flatness then we recommend you use Atoma diamond sharpening plates. 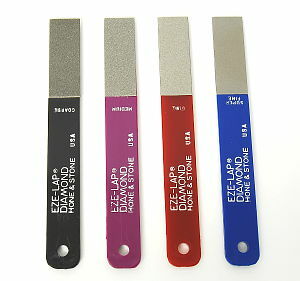 Otherwise no operating restrictions exist for EZE-LAP diamond sharpeners.